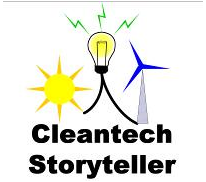 Why Use Krishna Avva as the Cleantech Storyteller? · You need a writer to engage the reader with compelling text, in language that expresses your ideas and needs, yet written from the client or investor’s perspective, in language they use and understand. · You would have to train someone to write for the customer in this format. They would have to be devoted to this task in order to do it justice. · Not biased about your products. I can be objective. · Known price. Agreed upon deadlines. You can utilize me whenever you need me. · Your document is my focus. I am not worried about running other areas of your business. I set a definite timeframe for completion with most work done by me independent of you and your staff with interactions with you as needed. · I turn a paper around much quicker, because I have the writing mindset and don’t “dread” writing. In fact, I write children’s short stories and books on the side, to keep my creative skills active and to make sure I keep it simple, yet interesting. · With my varied background, I draw upon many industry and technology experiences to give a more complete picture. · Technology trained, but market focused. In other words, I have both the ability to understand technical products and services with the skills to translate them into words investors can understand. I practice what I preach. I drive a hybrid car, I use energy credits in my electric bill, I recycle extensively and I yell at my kids to turn off the lights and stop dripping water. 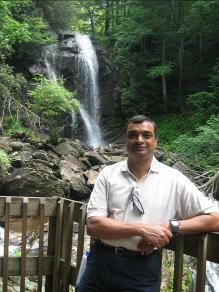 · Been in the Software & Technology industry for 30+ years in Telecommunications, IT and custom software applications. · Member of Green Chamber of the South, www.greencs.org. Column contributor. · Member of American-Israel Chamber of Commerce, Southeast Region, www.aiccse.org. Committee member of Cleantech subgroup. · Service Provider to Cleantech Forum Members, www.cleantech.com. · Member of Toastmasters International, www.toastmasters.org, certified Toastmaster. · Member of IEEE (Institute of Electrical & Electronics Engineers), www.ieee.org. · Served clients in all facets of business, ranging from product strategy, product development, product support, product management & marketing. · Assignments with Fortune 500 companies, such as AT&T, DBM, Subcontract to General Dynamics, Lucent Technologies, BellSouth, WaCA/Asurion, and Amdahl, as well as several smaller firms. Jeff Dennis, Owner, WordCraft Resources, Inc.